This Sigrid Necklace Set will prompt others to express their affection for your accessorising! 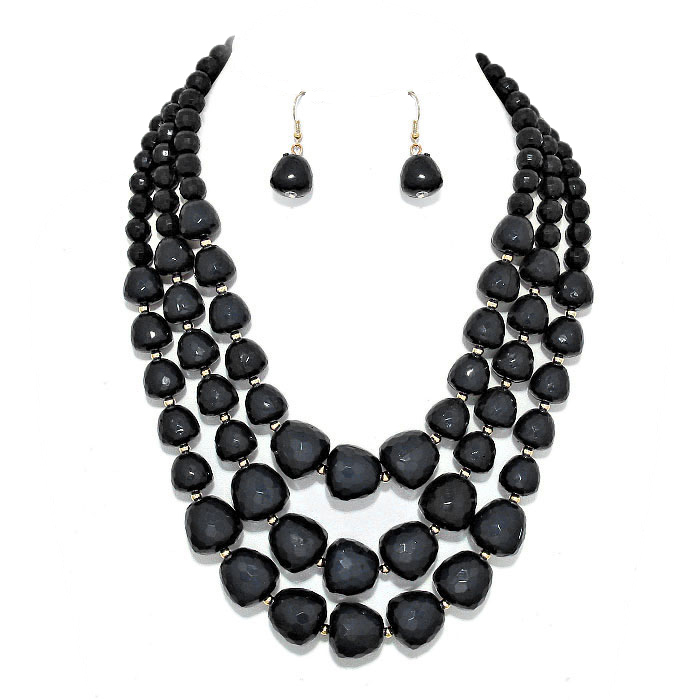 Wear it over any ensemble to flaunt its layered strands of black beads and hear everyone go "ooh" and "ahh". The drop earrings feature black beads and fish hook closures.